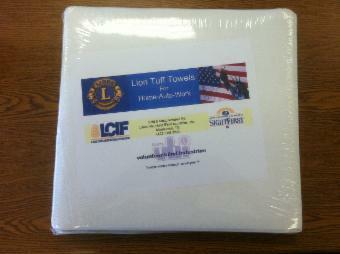 "Providing blind people with the dignity of independence through employment"
A "TUFF" towel for tough jobs!!! towels for the household consumer! Compare to household brands and SAVE! Processed and Packaged by the employees of Lions Volunteer Blind Industries in Morristown, TN. To purchase please contact Betsy at 423-586-3922 or visit our Showroom!